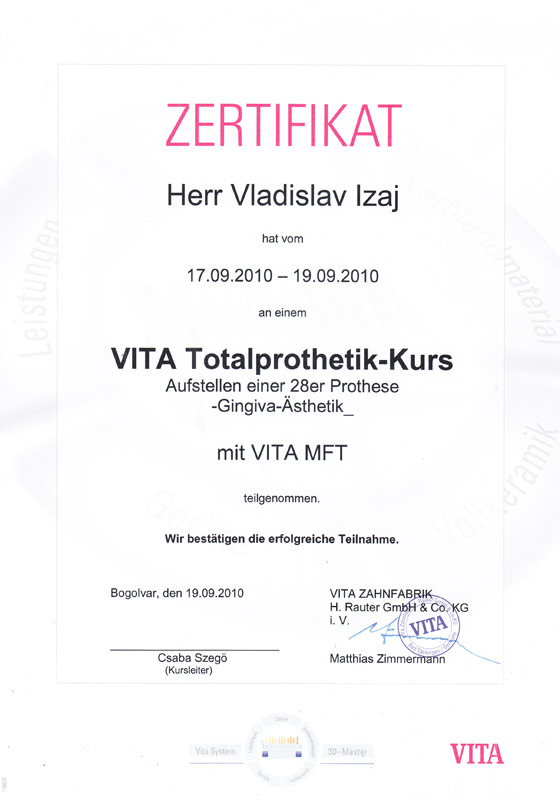 Uzhgorod, Sh. 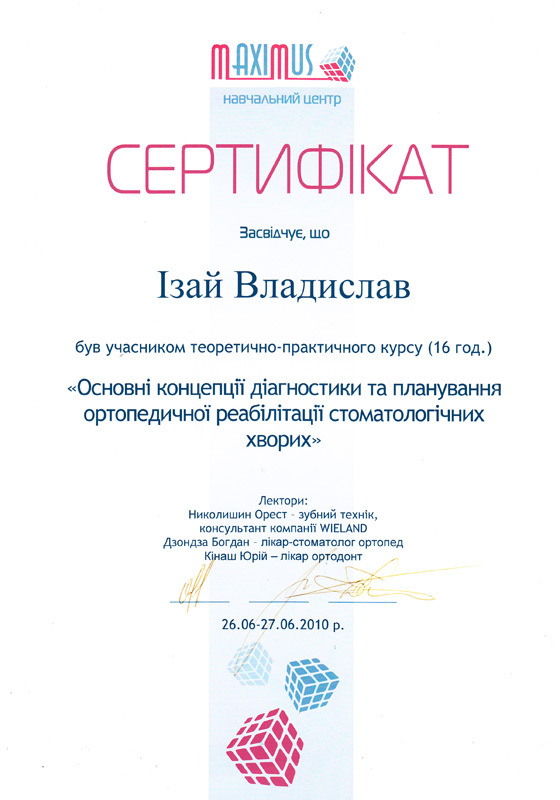 Petefi Square 25/6. 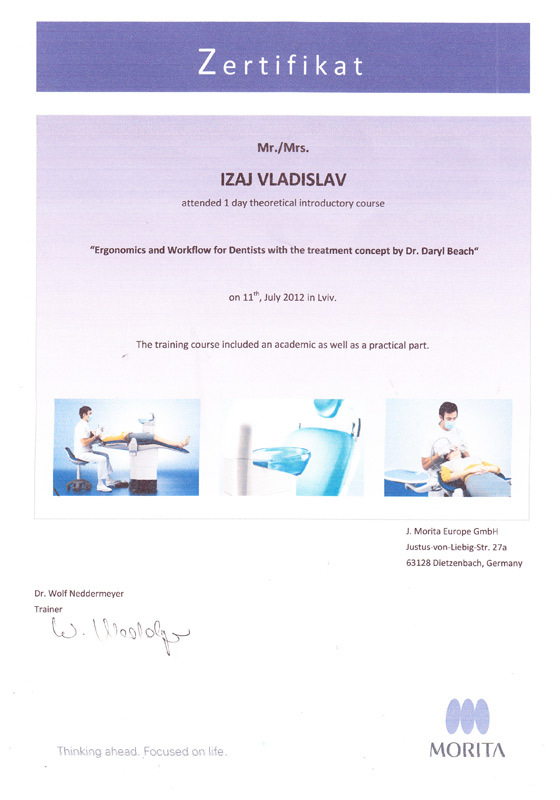 Specialization: “orthopedic stomatology”, “therapeutic stomatology”. 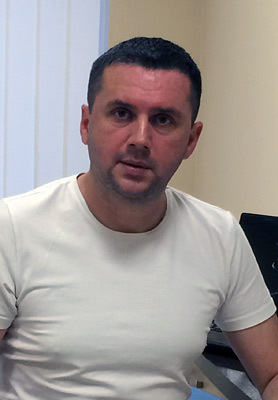 Graduated Danylo Halytsky Lviv National Medical University in 2000. 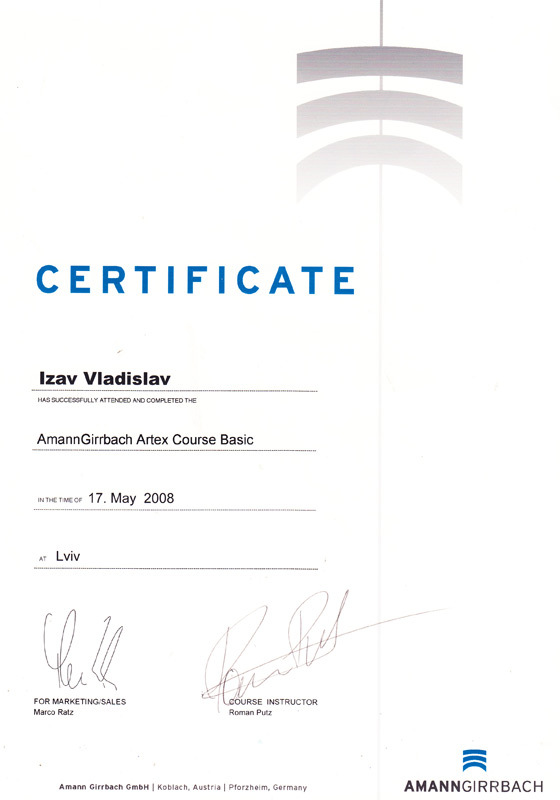 Finished an internship in 2002. 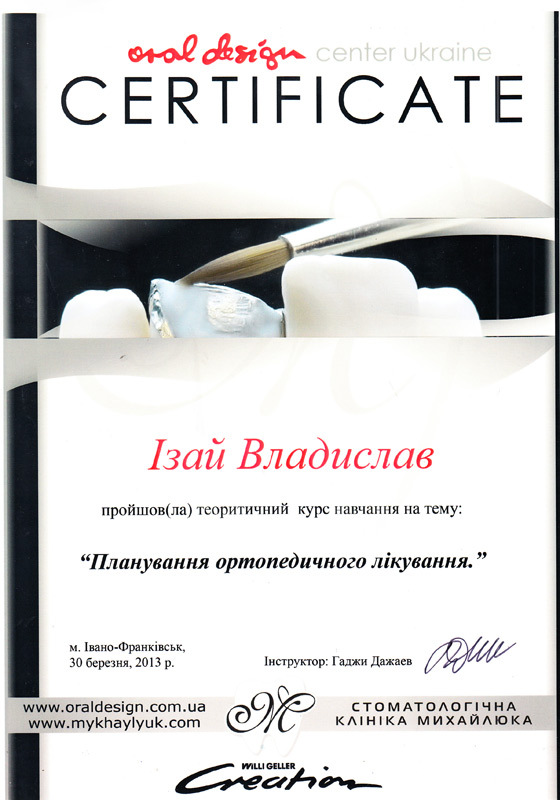 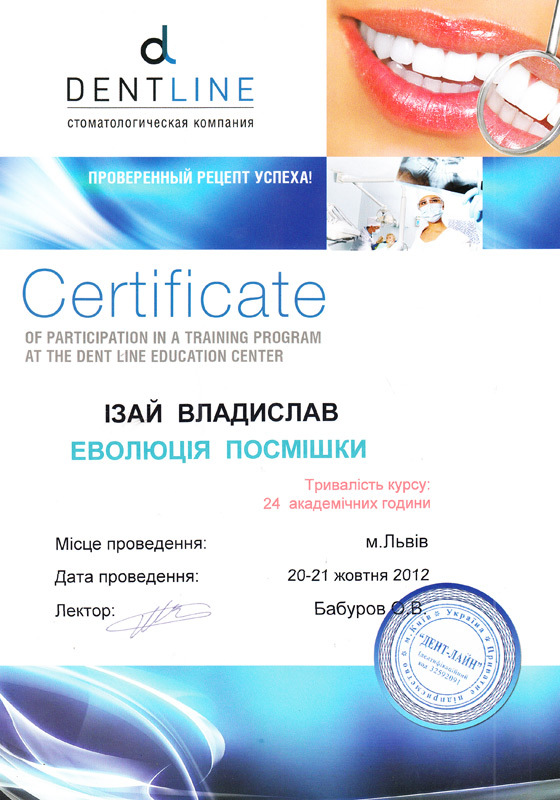 “Evolution of the smile” lecturer Baburov O. V.
“Prosthesis on implants” Dr. Budovski O. 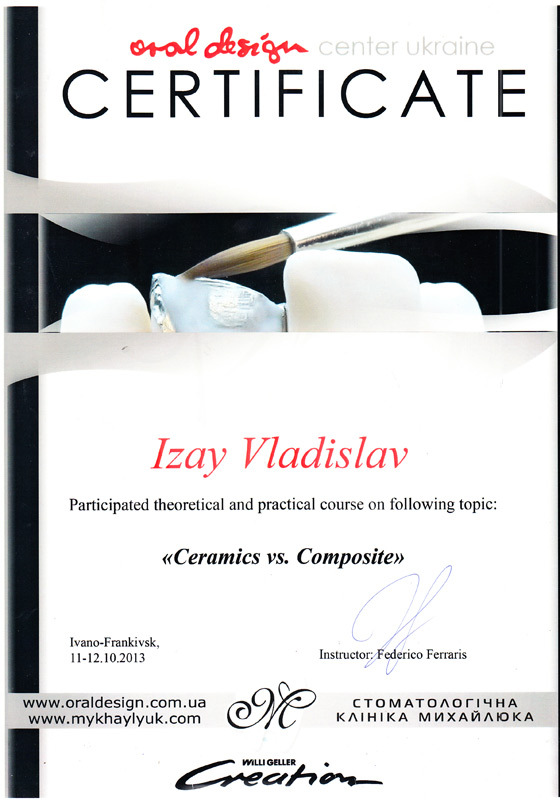 “Prosthesis on implants” Krasnozon O.